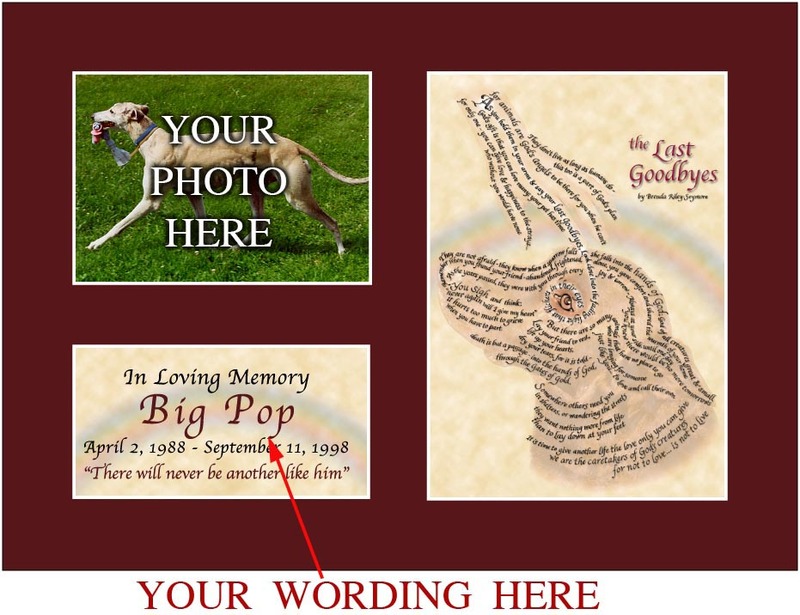 Remember your canine companions in a very special way with this lovely framed memorial. It features Brenda Riley-Seymore's "The Last Goodbyes" verse written in calligraphy, along with your photo and your wording. This is a matted version that comes withOUT a frame and glass. The outer dimensions of the mat are 10" tall x 14" wide. It's backed with heavy board and wrapped in plastic for protection. Includes Bonus Wallet Card featuring the complete Last Goodbyes verse. who without you would have none.